Fly in Pic is not included in kit. 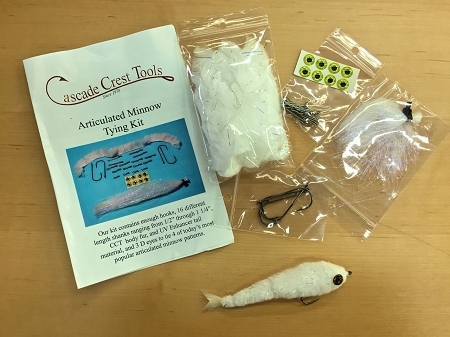 Learn to tie articulated minnows aka "Gamechanger" with this handy kit. Clear, easy to follow instructions. Ties 4 complete flies. Fly in Pic is not included and is for reference only.